Home → Blog → The Birds and Bees of ROYGBIV: Where Do Colors Come From? We’re all familiar with the colors of the rainbow: Red, orange, yellow, green, blue, indigo, and violet. But what about colors we’ve never seen? When it comes to creating new colors, we don’t “discover” them, and creating entirely new colors is rare. What we get, instead, are tweaks on colors that already exist. Those tweaks are typically done in labs with pigments, and it’s big business. Scientists can patent their colors and sell them, though that isn’t always the case. For example, a Gizmodo article describes the work of Donald Farnum, who stumbled upon what became known as Ferrari Red, while leading research in the ’70s at Michigan State University. Its scientific name was PR254 and it was created completely accidentally. Farnum didn’t patent the color and his credit is found only in the paper he wrote about the process but he says they did the work for fun, not for money. But that bright, electrifying red has had such an impact on how we see red for semiconductors, TV pigments, dyes, and paint for cars. 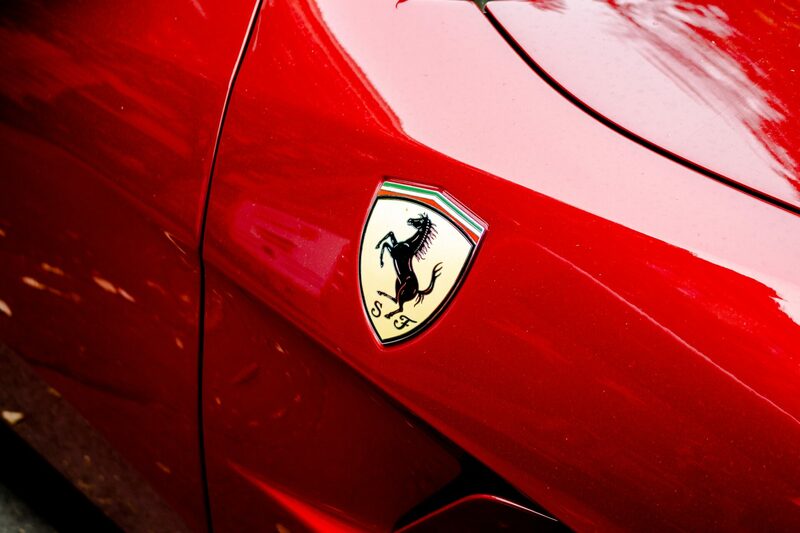 Without that research, we might not have that iconic red Ferrari we know so well. Now, we can’t talk about color without mentioning Pantone and their critical role in all things color. Shaunacy Ferro wrote for Mental Floss about the process of forecasting color and creating the ultimate guides for graphic and fashion designers across the world. She describes these meetings that take place twice per year among Pantone experts to forecast and set the trends in color for the year. They create mood-boards and palettes based on trends and where the country is at, emotionally. But it’s about more than trends and moods. They need to make sure their colors can be quantified and are varied enough from existing colors to see if they fit. It’s also important that their colors can translate to fashion and graphic design. Dyes transfer differently across different materials and other companies need to be able to reproduce it. If the colors don’t meet these criteria, they don’t make the cut. It takes months for technicians to come up with the exact formula, after testing over and over. Once it finally makes it to the printer, technicians make adjustments to the ink flows, as needed. And because Pantone has 18 base inks to get exact matches, you’re not going to get these results at home. But designers say it’s worth outsourcing your printing so you can use Pantone shades to maintain consistency. While we may not be discovering any brand new colors we’ve never seen before, designers are always working to bring us variants we haven’t seen. If you have a design and you’re not sure how to print its colors, reach out to us. We’ve helped many clients print the colors of their dreams!